Many methods exist for human resources (HR) to run corporate wellness programs. 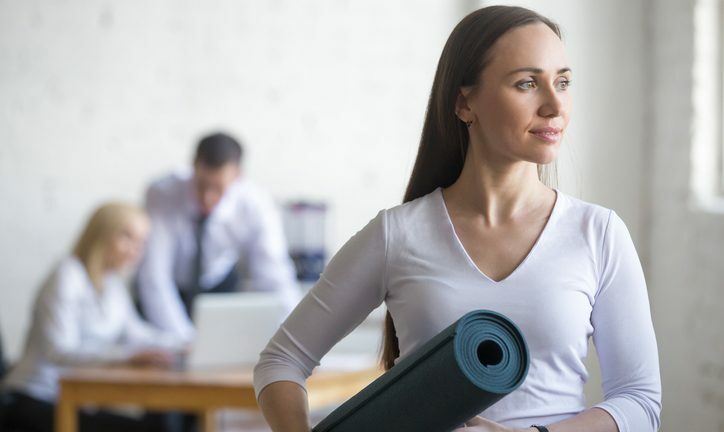 Here are some ideas before you embark on your own corporate wellness journey. Corporations look out for employee welfare in many ways: compensation, medical benefits, retirement plans and others. These have a beneficial effect for employees. Some methods also help companies. One of these remains corporate wellness: process of motivating personnel to improve their health and reduce corporation insurance costs. Many methods exist for human resources (HR) to run corporate wellness programs. Some are technological. Others involve incentives. Then there are those that combine both. Take a look at these as well as innovative alternatives. So how do you change the dynamic and create a “fun” experience for average Americans? One company, CFN Services, provider of network and application delivery solutions, uses gamification to bring workers together for healthy behaviors. For example, it has groups of employees add each other to Fitbit huddles to see who takes the most steps each day, according to Jessica Steele, director, global marketing. Another company has taken gamification further. AppRiver, cybersecurity provider, launched its FitRiver program in April 2016, giving all employees Fitbits and dividing them into teams, which compete weekly to see who “steps out” most. Since launch, employees have logged more than 53 million steps, according to AppRiver. Other companies like ReadyTalk, provider of conferencing solutions, let employees choose between Android watches and Apple Watch, to further wellness and innovation. While employees get healthier through corporate wellness, companies can establish new brands. Beginning 2016, Ensono, infrastructure management services provider, came into reality. Formerly known as Acxiom IT, it wanted to promote new corporate values that employees would embody and through which the company would execute business goals, including an environment where they can flourish, according to Ensono. Ensono offers free Fitbits to encourage workers to participate and track activity through their apps and online, enabling employees to weave in support outside and inside work with friends, coworkers and families, according to Graham. Ensono also wants to integrate biometrics and health screening with activity tracing and meal planning. More than half of Ensono associates participate, according to Graham. Speaking of meal planning, a program called NutriSavings scores foods on a nutritional scale of 0 to 100. Once enrolled, employees can track food purchases at supermarkets. Also, it recommends meal plans based on purchases and makes healthy food affordable with discounts on produce, according to the company. And employers can subsidize healthy foods through the program. Commonsense says companies should consult employees before embarking on any corporate wellness program. After launching free employee biometric screening and monthly health seminars that cover reducing stress, eating healthfully and other topics, cybersecurity and application delivery firm Radware decided to do that. A wellness committee will implement activities that employees select into the wellness program, according to Rosica. The company will measure success by attendance and program feedback. Step and calorie challenges will be monitored by devices employees use to follow their progress. Bwell has largely achieved its objectives with progress measured by technologies to facilitate employee engagement, including BMC’s employee app, data dashboards supported by Limeade corporate wellness technology and email to distribute challenges, information and incentives, according to Faulbusch. As companies implement corporate wellness, implementing programs at scale, they should not overlook innovative apps and cloud solutions for health. For example, IncentFit, links fitness technologies (e.g., Fitbit, Apple Health) to wellness initiatives earning employees rewards when they exercise, according to the company. IncentFit integrates with trackers and uses proprietary technology to verify attendance at fitness facilities. Employers only spend money when employees actually exercise, according to IncentFit. A different corporate wellness app called iRewardHealth, offers a cloud-based mobile solution that employees use to track real-time progress toward healthier lifestyles and receive money from their employers, according to the company.